Macarons are evil. These bite-sized, girly-coloured meringue-based nuggets of sugary goodness somehow make most girls weak at the knees or lose their minds, not to mention very grabby and extremely possessive once they get their mitts on a box. Call it the Gollum effect if you will.. and I’m no exception. 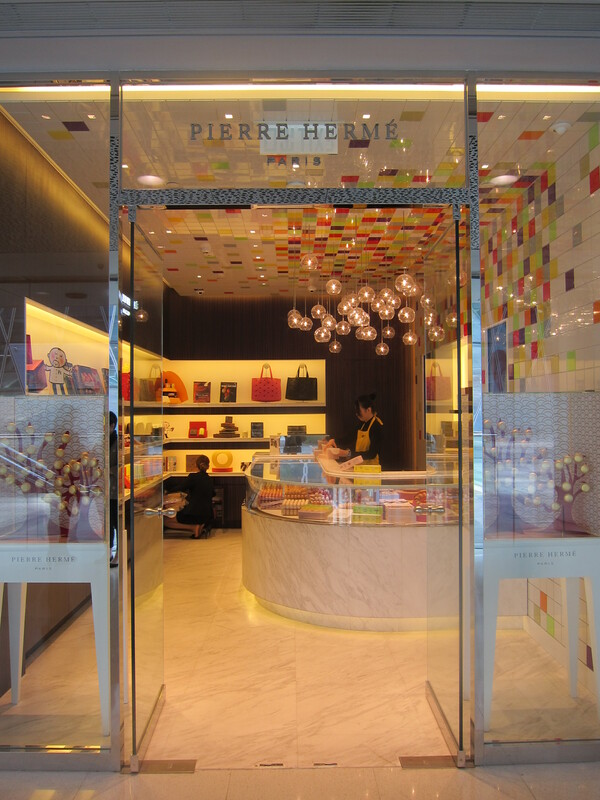 So of course, the first thing many of my girlfriends and I did when Pierre Hermé finally opened its doors in Hong Kong in 2013, was immediately trot to IFC to gawk at the display of macarons, buy a box of 7 precious confections, stroke said box in a Gollum-like manner and then proceed to elegantly cram the goodies in our mouths. 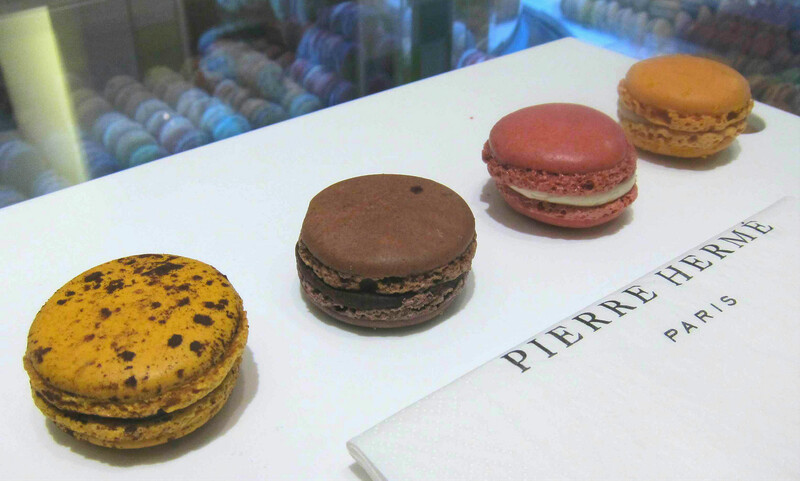 Fast forward to last month and Pierre Hermé opened its third shop inside The Ritz-Carlton. Sadly I couldn’t make it to their afternoon tea party to celebrate and sample their afternoon tea sets which were crafted especially for Valentine’s Day. However, I was lucky to have a chance to pop to their IFC shop for a sinful breakfast of macarons so I could try a couple of their non-regular flavours. The terrible feeling of having a breakfast of macarons was short-lived once I stepped inside and proceeded to gaze lovingly at the selection in front of me. – Chuao (Chuao Chocolate & Blackcurrant) Not part of the usual line-up! Honestly, all 5 were sensational, but I must say that the Mogador is my new favourite, with its delicate balance of milk chocolate and the slightly tart Passion fruit coming through. Another new love is the Truffle Blanche which I saved till last and really savoured. (Though I think the girls watching me eat would probably beg to differ as I doubt I spent more than 5 minutes in total wolfing all 5). 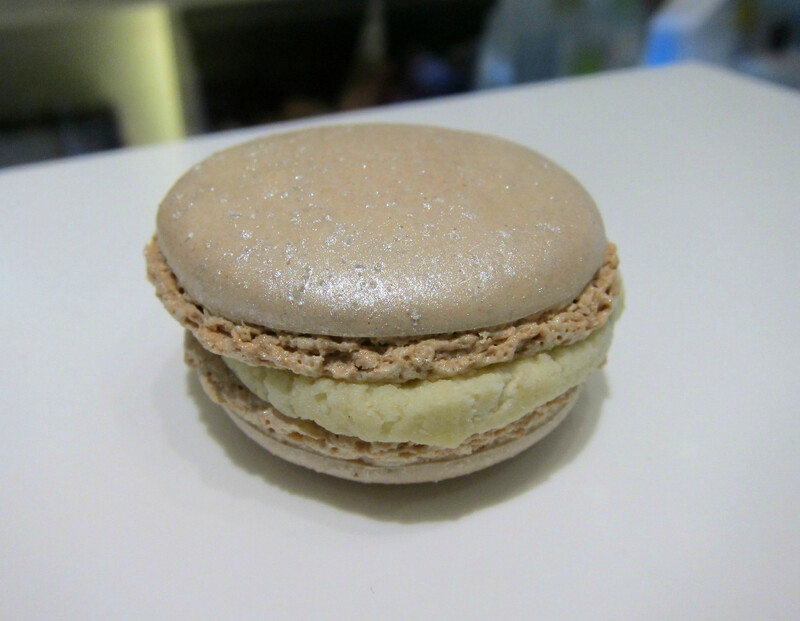 The truffle was extremely aromatic and frankly, this macaron blew my mind. Thankfully the truffle is only available during the winter season otherwise I’d be tempted to constantly buy a box of ONLY this flavour. One of my best friends in Singapore reaped the benefit of my “taste testing” when I visited her the following week with a box of all the above. 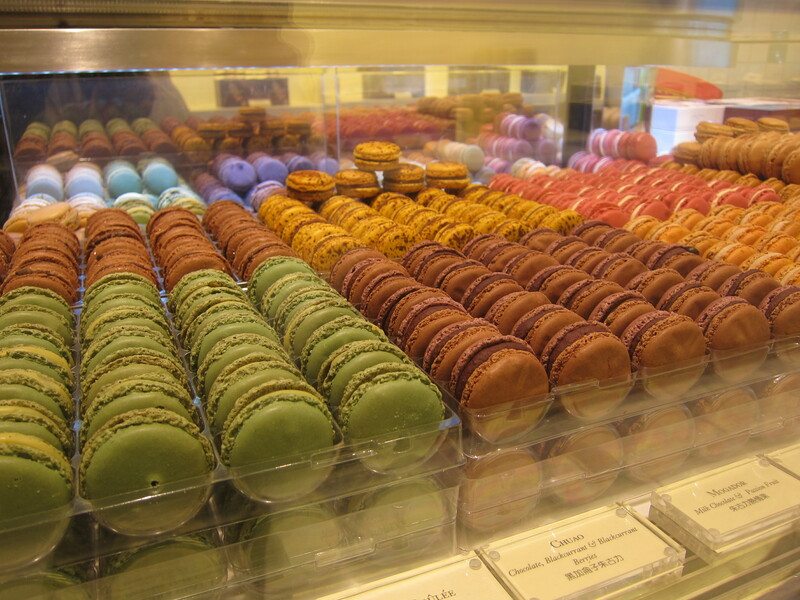 It was one of the more hilarious things I’ve seen, seeing D’s eyes go wide at the sight of the macarons and trying really really hard to eat them slowly and painfully, with more will-power than I have, saving half, maybe a quarter, of some of the flavours for her husband. That’s true love right there. Many thanks to Pierre Hermé Paris- Hong Kong and Catch On for the kind invitation and letting a girl enjoy macarons with unabashed delight. Categories: Dessert & Puddings, Macarons, Sweet things | Tags: Chuao, IFC Hong Kong, IFC Mall, Infinement Rose, Macarons, Mogador, Pierre Hermé, Pierre Hermé London, Pierre Hermé Paris, Rose and Coing, rose macarons, Truffle Blanche | Permalink.